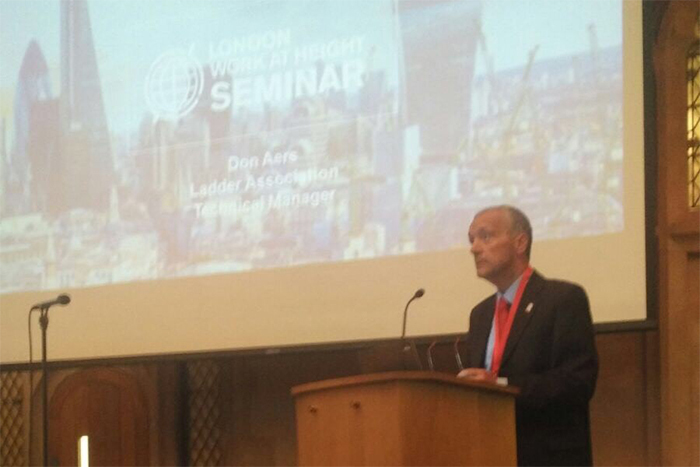 The Ladder Association, a not-for-profit body dedicated to promoting safe ladder use, shared its knowledge with delegates at the London Work at Height Seminar 2017, held at London Guildhall on July 10th. The London Working at Height Seminar (LWAHS) was established to bring together the leading organisations who develop and design systems of methods and regulate the Work at Height industry. It believes that collaboration in a forum occupied by industry experts, regulatory bodies and organisations that operate in the sector, will improve access to quality information that will support best practice and decision making when selecting a Work at Height solution. 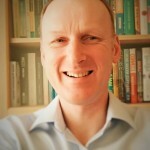 Technical Manager of the Association, Don Aers, introduced delegates to the Association, its goals and objectives, and explored current topics on ladder safety, including: what safe ladder use looks like; the changes to product standard, EN 131; and guidance on buying and using telescopic ladders.